Five Indian women boxers have been assured of a medal at the Asian Youth Championship as they qualified for the semi-finals of their respective events. However, in a massive blow to India’s medal hopes, Sakshi Choudhary lost her bout against Thailand's Panpatchara Somnuek. It was a special Monday for the Indian women’s boxing team as five women advanced to the semi-finals of the Asian Youth Championships on Monday. 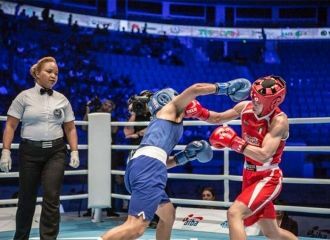 In fact, two of the boxers have inched closer to qualifying for this year's Youth Olympic Games in Argentina after qualifying for the semi-finals of the Asian Championships. Anamika (51kg) and Astha Pahwa (75kg) were assured of medals. These are the two boxers who are still in the hunt for booking a berth to the Youth Olympic Games in Argentina which will take place later this year. Anamika won her match against Mungunsaran Balsan of Mongolia while Astha Pahwa defeated China's Xiyue Wang. In the 69kg weight category, Lalita defeated Vietnam's Thi Giang Tran and Divya Pawar, who fought in the 54kg category, had an easy win over China's Xueqing Cao. The other Indian who qualified for the semis was Nitu Ghanghas who defeated China's Zhifei Hu in the 48kg category. In the 57kg category, Sakshi Choudhary who won the gold medal at the World Championships not only bowed out of medal contention but also blew her chances of an Olympic berth. She was defeated by Panpatchara Somnuek of Thailand.